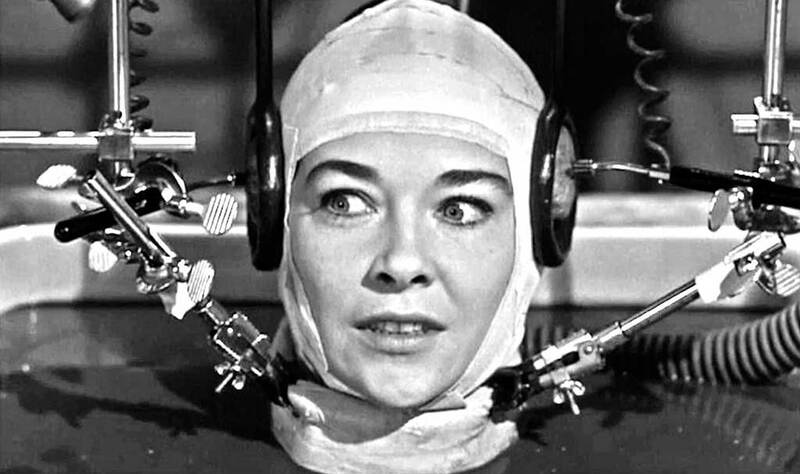 Going to bed every night with a large contraption strapped to your head might, to some, sound ridiculous. But advances in neuroscience and consumer electronics have led to a slew of ‘brain gadgets’ that promise to improve the way you sleep and dream. These devices come in various shapes and sizes and many are backed with actual scientific studies proving their actual worth. However, whereas most sleep tracking devices only allow you to passively monitor your sleep behavior, many of the new ‘neuro-gadgets’ also offer features to actively improve your well-being. 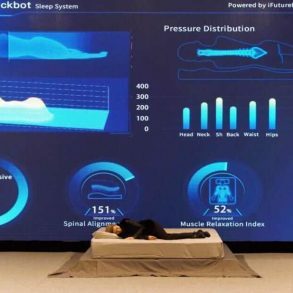 This new wave of sleep technology is part of a larger ‘brain-hacking’ movement, whereby both scientists and amateur DIY enthusiasts are attempting to enhance the capabilities of the human brain using cutting edge technology and even smart drugs. Some of these techniques have been criticised for being dangerous or irresponsible, such as the use of transcranial direct-current stimulation (tDCS) which involves passing small electric currents directly to the scalp in order to stimulate the neurons in the brain. Thankfully however, the sleep-related neuro-gadgets we’re covering here all involve much less invasive techniques such as light and sound to stimulate the brain, or, as in the case of the Fisher Wallace device they have gained medical approval. So, enough of the background, let’s take a look at five brain gadgets that promise to improve your sleep or dreams. This is the only brainwave gadget that is FDA cleared to help with depression, anxiety, and insomnia. It’s marketed as an alternative to drug treatment and can be safely used with other medication. The key thing it does is increase serotonin, GABA and endorphins (‘feel good’ hormones) by sending low level electrical signals to the brain. Increasing these chemicals in the brain is said to improve mood and sleep. The device has to be prescribed in many areas so it is always best to see your doctor and get their opinion if this is something that may work for you or not. This gadget is super simple to use. In brief terms, you wet the sponge applicators, put them just above the sideburn area on your head, connect the wires to them, put the headband on to hold them there, then turn on the attached remote the wires are connected to. That is it. The Fisher Wallace will turn off itself after 20 min. which is considered one daily session. Want to dream more? Want to be able to remember those dreams? What about control them? The Aurora by iWinks claims to be able to do just that. The Aurora senses your sleep patterns through the headband that connects to their free app on your smartphone. It detects that you are in REM sleep (when you dream) and sends light cues to enable lucid dreaming, helping you to remember and control your dreams. 1.5;">Knowing this allows you to control your dream, plus more likely to remember it afterwards. It also can be set to wake you at the most optimal time so you feel refreshed in the morning and remember those dreams. 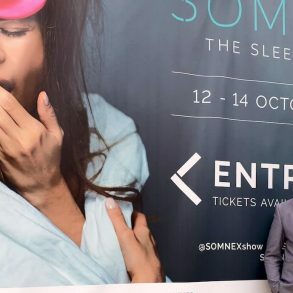 For more info, check out the Sleep Junkies interview with the inventor of the Aurora and CEO of iWinks, Daniel Schoonover. Dreem is a wearable headband, designed to improve sleep quality. 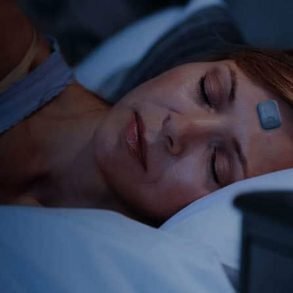 Rythm, a Paris based ‘neurotechnology’ company recently secured a whopping $11 million in funding to develop their sleep-improving headband. Dreem distinguishes itself by focussing on enhancing deep, or slow-wave sleep, rather than REM. 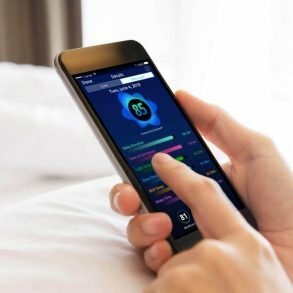 The Dreem detects your sleep stages using EEG sensors, and then uses vibration (rather than headphones) to send audio signals which sychronize with your brainwaves. The result, they claim, is improved sleep, plus better focus, alertness, memory, and performance. The Dreem is also a brand new product and is shipping its first products in June 2016 to a limited number of users. Having trouble falling asleep? The SleepCogni has helped 50% of the subjects it was tested on to find sleep faster according to their kickstarter webpage. This brainwave gadget is not a headband either. It is more like a lamp that you look at as you are falling asleep, or at least while you are trying! The device has a sensor that you put on your finger to detect your heart rate and as you relax, a series of different lights and sounds come on the device to help you drift off into slumber land. There are some great “natural” methods to go about this also. It also can act as sunrise simulator in the mornings to help you wake up. Studies have shown that sun light helps people wake up easier. Therefore, if you have a dark room or you wake up usually before dawn, the SleepCogni claims to help. It is still uncertain when the SleepCogni will be released. Their kickstarter campaign ended in December, 2015. It is predicted to come out sometime this year (2016). This sleep gadget actively monitor your brainwaves all night long and make adjustments by giving your brain small auditory cues while you are falling asleep and while you are still asleep. The Sleep Shepherd, a wide headband that’s worn at night, utilises something called 10.3389/fpsyg.2014.01248/full">binaural beats, essentially two simple tones played in each ear at different pitches. This, according to the makers can entrain your brainwaves to induce the optimum frequency for restful sleep. In-built EEG sensors track your sleep state and adjust the tones accordingly in a patented ‘biofeedback’ system. 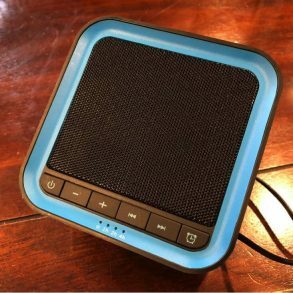 Another Kickstarter product, the Sleep Shepherd raised over $600k before the campaign ended. I am waiting for another Zeo type of product that can give me a brain wave reading. I still wonder why this is still not readily available?